One problem that we find that many people have, is that they jump ahead with establishing their authority and creating their content, but forget about building and managing their foundations. Like with many things, without putting the hard work in and ensuring that everything is done properly, you are likely not going to get the results that you are hoping for. In this post we are sharing with you chapter 9 from David Jenyns’ book Authority Content, where he talks about having a solid online foundation from which you can grow your business, and how to change your mindset so that everything surrounding your website optimisation is interconnected. The final “P” in the Authority Content Marketing system is “Promote” and often this is the section that most people are interested in. Perhaps you already have a great product or service and all you’re really interested in is some ideas on how to spread the word. Maybe you’ve even skimmed the previous chapters, eager to start the content syndication. Well, to be fair, if you skipped most or all of the previous sections, I’d be very surprised if you hit a home run. Like I said earlier, Authority Content is not a good system for those who are always looking for short cuts and loopholes. I can tell you how to speed up some of the stages, but you need to be committed to the process to see the kind of results that I’ve experienced and that many of my clients and students have been able to replicate. Just as it’s important to lay solid foundations before you start building your house, there’s still a little bit more work that needs to be done before you can start crafting your syndication plan. We need to spend a little time preparing your website into the best possible shape. One of the primary reasons for this is to ensure you get the maximum SEO benefit. Obviously we want the maximum traffic that can be gained and therefore some consideration of what Google wants is key. You see, SEO is a much broader subject than it ever used to be. How people engage on your site, how quickly it loads, whether it’s mobile friendly or not, and so on, are all important factors now. Now, I’m not going to attempt to give you a crash course on SEO in this book – I have plenty of other material available that covers this subject in depth – but the mindset I want you to adopt is a holistic approach where everything connected to your website optimisation is interconnected. As with so much of Authority Content, these improvements and optimisations will only have a real effect if you get them all working together. If, for example, you get your links cleaned up but your website offers a poor user experience, your good work in the first instance won’t yield a great result. But get all aspects working in harmony – that’s when the magic sets in. It has a kind of multiplier effect. It’s a little bit like in a Maths exam where you get 1 point for using the correct working out, 1 point for getting the right answer, but you get 3 points if you get both correct. It’s ironic that the scoring system in a Maths exam is basically 1+1=3 but this is the kind of bonus you get when you tackle usability, technical integrity and links. This might help to explain why your website isn’t currently ranking. 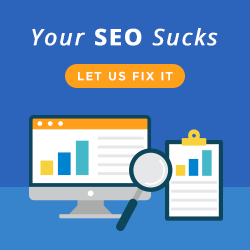 As an SEO expert, I often get calls from frustrated business owners because they’re being outranked by a competitor, even though they’ve worked really hard at generating lots of back links and they have got an older, more well-established site. So, rather than waiting until you’re butting heads with the competition or get hit with a Google algorithm update, it makes sense to address these three areas now. 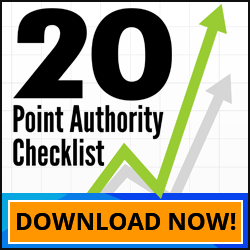 Furthermore, this gives your Authority Content the best chance of success. In all likelihood, none of these areas will present you with any massive issues and it’ll simply be a case of tidying things up. SEO is an important factor in ensuring that website will get seen and ranked by Google, so getting this right before you continue with your Authority Content is key. Going back over the content you have and how your website is set up will put you on the right track for better visibility in the future. We realise that this is only a short snippet of information and there is a lot more that goes in to establishing your authority and creating awesome content. Feel free to go back over some of our previous blogs where we have shared other chapters from the book. In case you want to get on to things faster, check out David Jenyns book on his Authority Content website, or you can purchase directly from Amazon.